85 people have viewed this property this week. 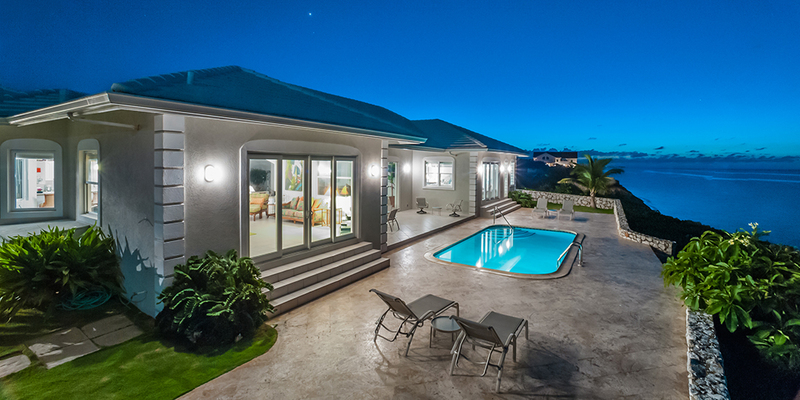 Crystal Blue is a magnificent, private cliff-edged, gated villa with private pool and stone steps to the water below. Guests will not see another person behind the villa during their stay. 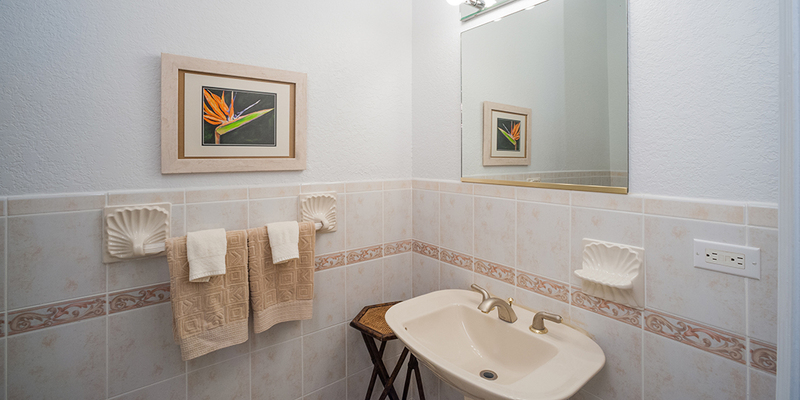 The villa offers excellent snorkeling and diving from the back steps, with conch, starfish, lobster, and many other fish species waiting to be discovered! 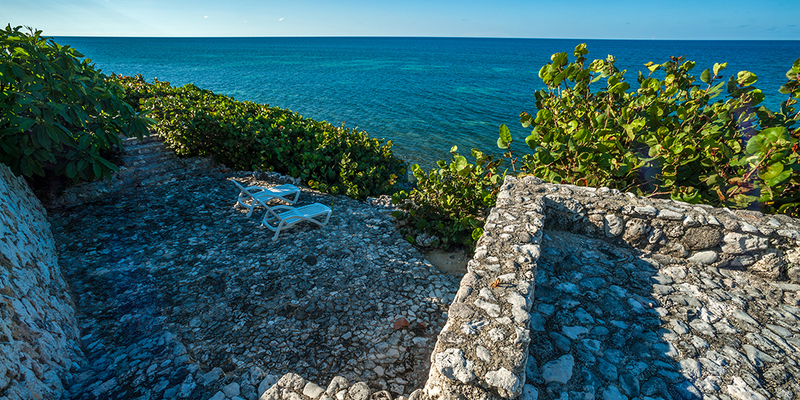 Relax on the oceanfront pool deck and watch the dive boats and fishing boats just off the reef. 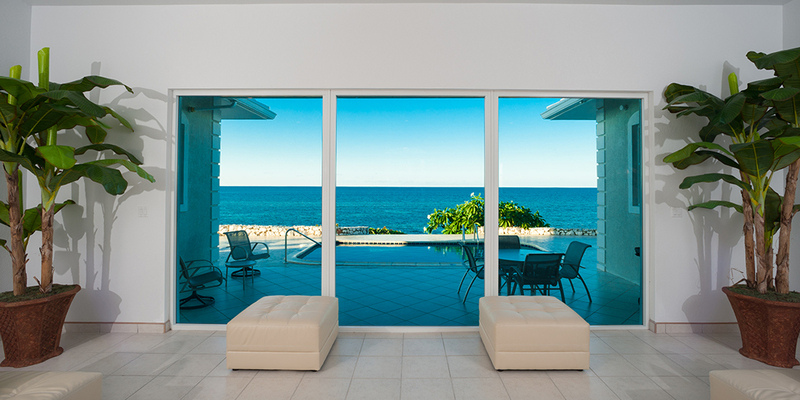 Crystal Blue has expansive windows and glass doors to capture the majestic views of the Caribbean Sea from almost every room. Elevated 25 feet above sea level, Crystal Blue is well protected and can enjoy a breeze when air conditioning is not necessary. 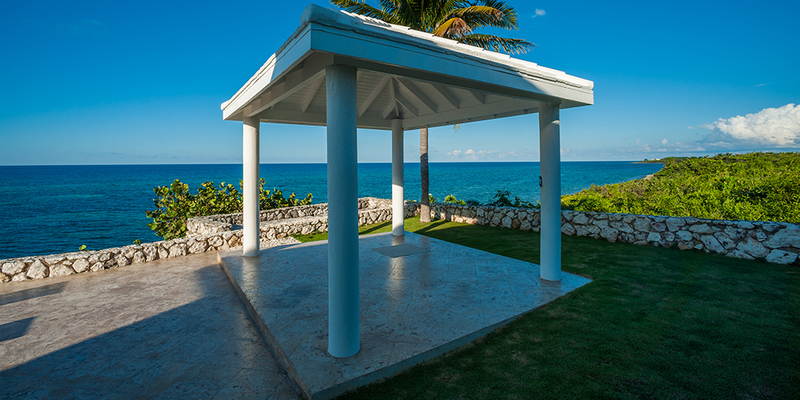 Stone terraces and a private gazebo near the pool offer refuge from a hectic vacation pace! Wonderful wedding venue for up to 100 guests. 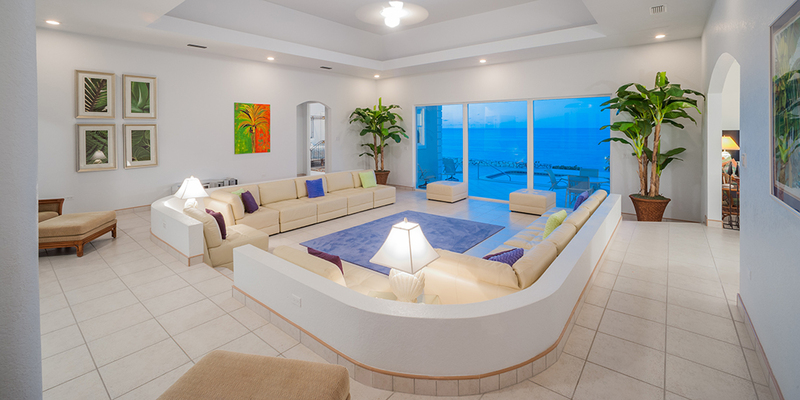 Walk through the foyer into the huge sunken living area with vaulted ceilings, enormous couches and gorgeous views, all of which lend a big feel to this 7,500 sq ft. oceanfront villa. Elevated oceanfront pool surrounded by plenty of outdoor furniture for guests to relax while soaking in the views. New outdoor loungers and section sofa on order for delivery soon. 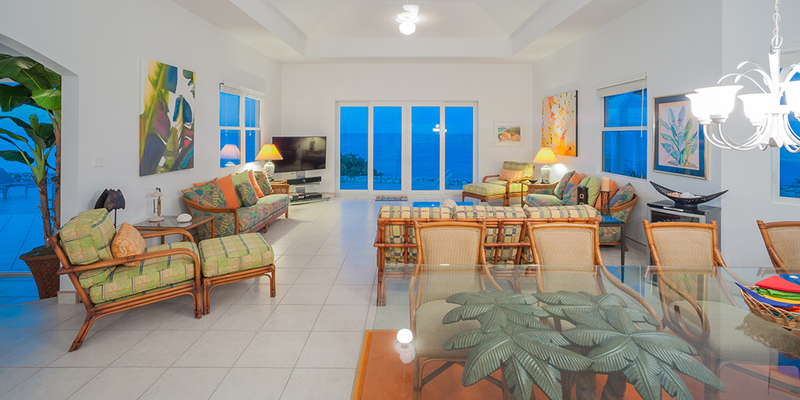 Separate oceanfront TV area off of the dining room and living area offers multiple areas for guest to relax and converse, complete with a Plasma TV and multiple couches! 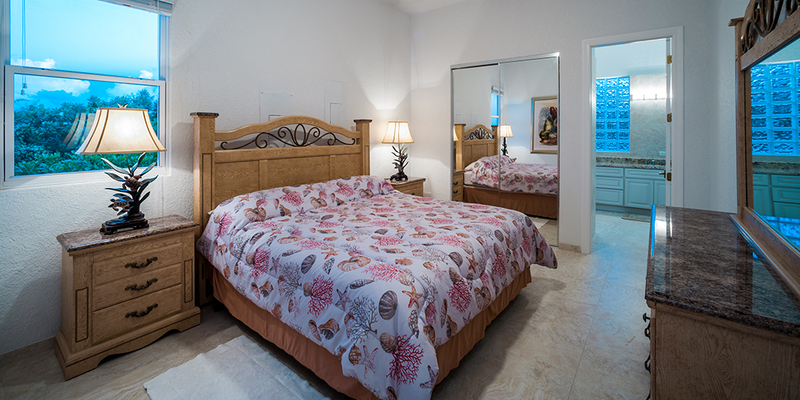 7 bedroom suites offer guests tons of space to spread out: 5 kings, 1 queen, and a kids room has 1 bunk bed set and 2 twin day beds. 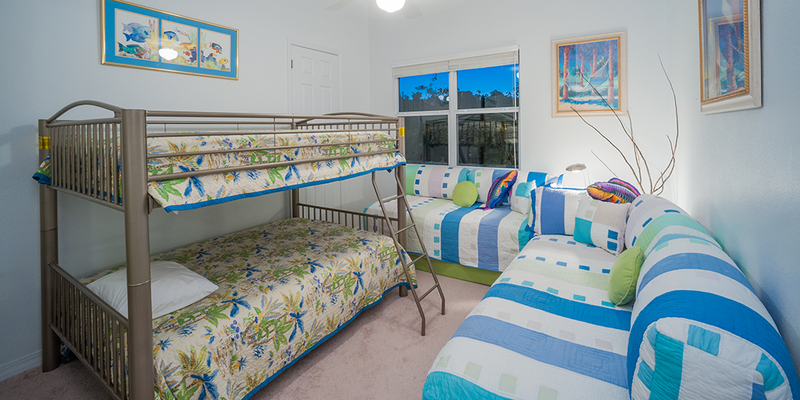 Owner also has 2 twin aero-mattresses for smaller children looking to sleep in parents room. Ideal private villa for those who don't want to see a soul during their entire stay. 5 minutes from grocery store, liquor store and barefoot swimming at two resorts as well as restaurants and bars. Excellent wedding venue and can accommodate many guests. Crystal Blue does not have a sandy beach. There is a sandy beach 5 minutes east at the Morritts and The Reef resorts. 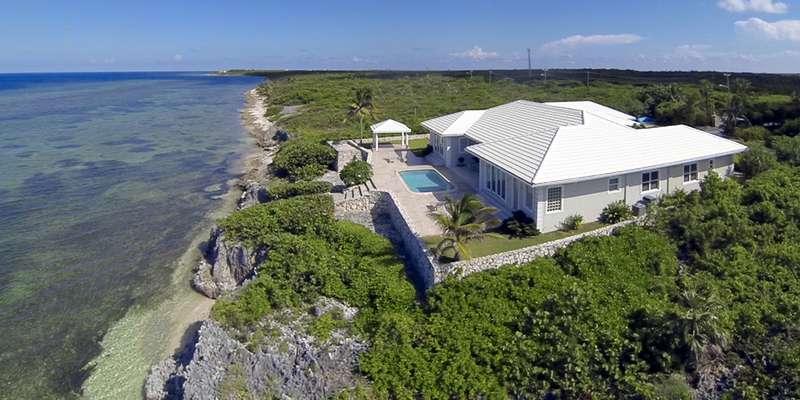 If Crystal Blue were located on Sand Point Road in Cayman Kai (perfect white sand beach) it would be twice the rate. 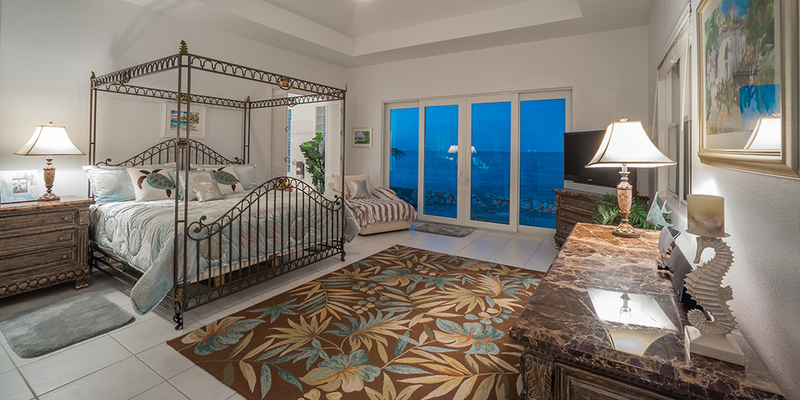 This home is for those guests who have a large group, still want a large oceanfront villa but are willing to forgo the private sandy beach in return for saving of $800-$1,200/day to offset costs for flights, meals and rental cars. 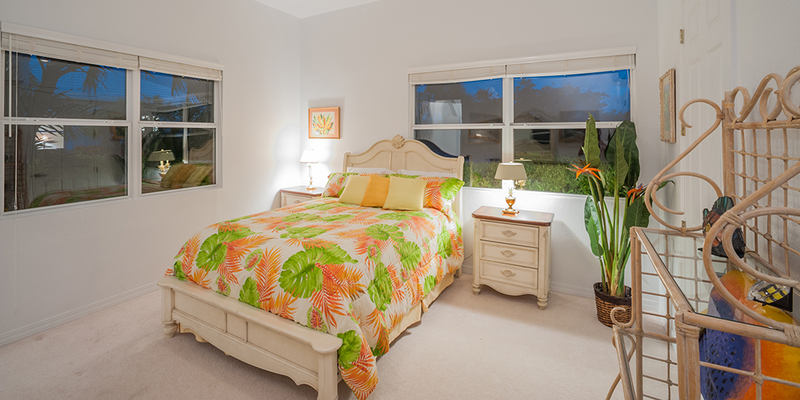 The entire home can sleep 18 guests total, with a max of 14 adult guests due to bedding layout. 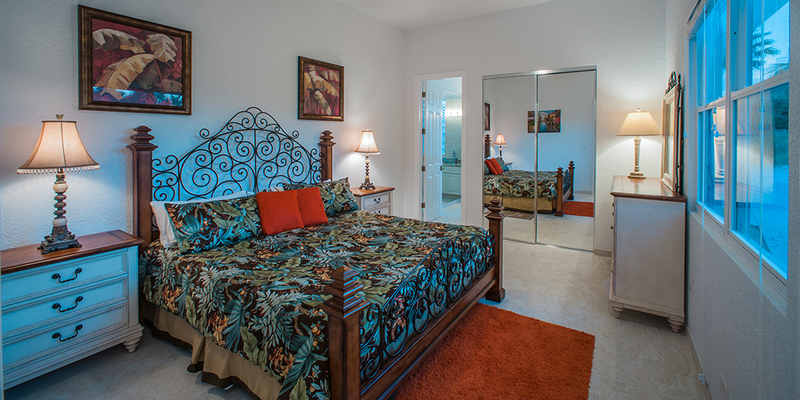 Crystal Blue's owner generously offers reduced rates for smaller groups not needing all 7 bedrooms. Reduced rates can be found under the Rates tab. 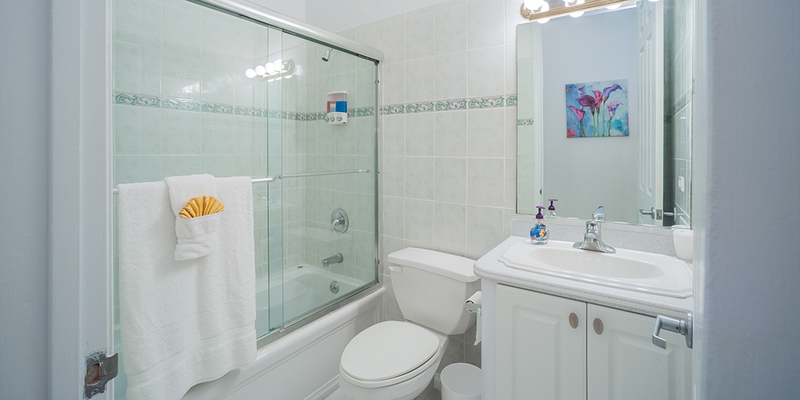 You can always book for a lower occupancy tier/rate and then add bedrooms later. You cannot, however, lower the number of bedroom and rates after final payment has been made. The homes along the Queen’s Highway towards East End offer great reef protected snorkeling as well as being only 5 minutes from the best SCUBA operators (Ocean Frontiers and Tortuga Divers) and dive sites on the entire island. The beach behind Crystal Blue is very private but only has a small sandy area, not for barefoot swimming. It does offer great snorkeling. With the abundant marine life we have in the water, you will want to wear foot protection (pool shoes or fins). The prevailing trade winds from the east offers an escape from any potential mosquitoes or flying insects. The east end of the island is where any kite-boarding, wind-surfing, or even surfing is done on Grand Cayman. Five minutes or less east of Queens Highway are two large resorts (Morritt's and The Reef) that offer manicured beaches as well as restaurants, grocery stores, a liquor store, gift shops, a Subway sandwich shop, and a coffee/pastry shop. These two resorts also offer scuba, snorkel trips, jet skis, windsurfing, kiteboarding, oceanfront pools and bar service. Tukka, The Italian Kitchen, and The Lighthouse are the closest restaurants. Nearby local spots for lunch include Vivine’s Kitchen, Arlaine’s, and the Pirates Cove. 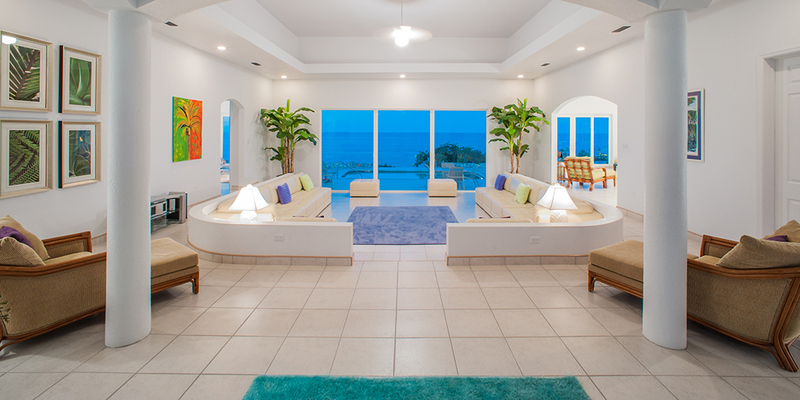 My wife and I took our kids and grandkids (all 10 of us) to Grand Cayman and were fortunate to stay at the Crystal Blue Villa. It was spacious and very private, which was important to us. The views and the snorkeling right out the back door were reasons that we hope to return some day in the future. Made our vacation special. Thank you. What an awesome place for our family vacation. Lots of room, fully stocked with all essentials and the view was to die for ! Can\'t wait to go back again. There is so much room!! Searching for a house for 13 of us was a struggle until we found Crystal Blue! Perfect size for us. There\'s not really a beach but there are perfect sandy beaches super close. We didn\'t mind though because the snorkeling is amazing out there! We stayed by the pool and would go to one of the sandy beaches within walking distance. It was the perfect house for our family! Our two families really enjoyed our time at Crystal Waters. Everyday was full of sweet sunshine! Took the kayaks out and went snorkeling everyday. It was an amazing experience! You have to walk a tiny bit to get to a sandy beach but if you just pack a cooler to bring down then you\'re good for the day! Best trip!! We had a Wonderful Stay at Crystal Blue!!! Loved this trip! We\'ve been all over the Caribbean but have fallen in love with Grand Cayman! Crystal Blue was perfect for our large family. Plenty of room to hang out and have dinner. We even hire a chef to come cook for us and it was the bomb!! Make sure you stop by Silver Thatch to get your snorkel gear cause they also have tons of little things you don\'t think about like coolers and fans and more stuff! The place you HAVE to eat at is Tukka. Most nights we went back there just for dessert! We had a great trip. Lots of good memories. Crystal Blue is great! If you\'re looking for a house with awesome snorkeling then this is the house for you! There isn\'t much of a beach like other people have said, but it\'s not a big deal cause there are beaches right by it. Our family loved the sunken in living room. The kids thought it was so cool. We grilled out most nights but the one night we ate out we went to The Italian Kitchen and it was great!! Definitely recommend it. Crystal Blue is ideal for large groups and a pretty great bargain. The location is perfect - a short drive from Rum Point, Crystal Caves, and a few awesome restaurants (Italian Kitchen & Tukka). We ended up not cooking the whole trip and eating out around the island. As a big history buff, I loved being right by the Queen\'s monument! We thoroughly enjoyed our day trips to Rum Point, Starfish Point, and Barefoot Beach. 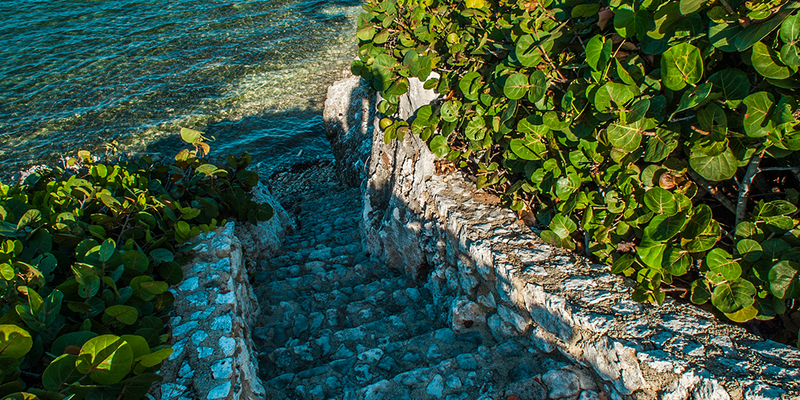 There\'s a stairway behind the villa that goes directly to the water, which was perfect for snorkeling. We loved this villa and hope to come back soon! 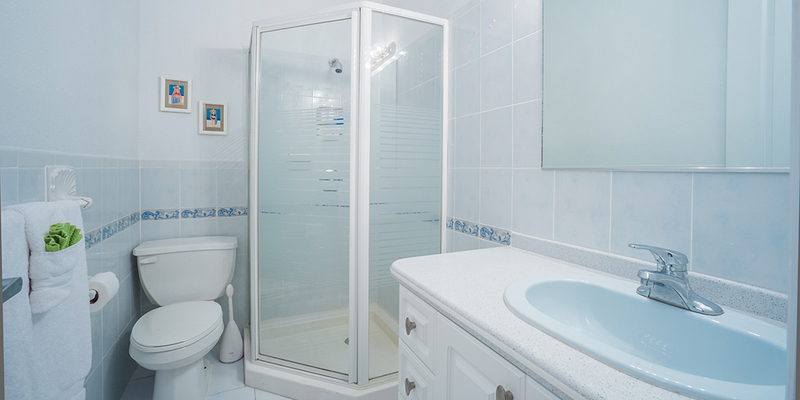 I ran into this property after my initial booking cancelled on me at the last minutes, two days before departure (don\'t deal with Nikki Ritch AKA Larimar Vacation Rental). The rental agent for this property, Scott, was wonderful. The house is huge. the pictures does not represent how big it is. It is bigger in person both inside and outside in my opinion. 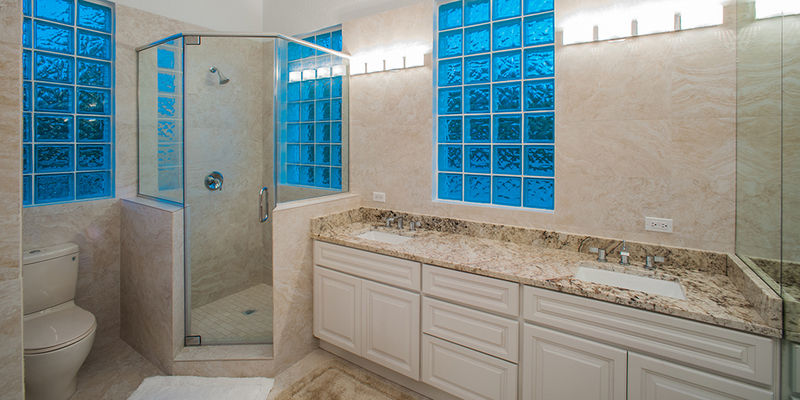 It is located in the northside which is about 35 minutes to georgetown and 7 miles beach. Speed limit is lower there, fyi. 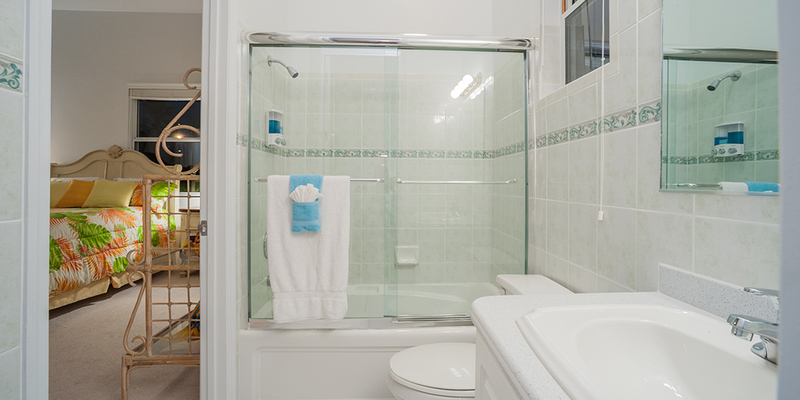 The house has lot of towels so you don\'t have to bring them. 5 minutes away from mini market. I would definitely consider coming back to this property if we have a chance to go back here again. Thanks again Scott. THIS PLACE IS A TOTAL GEM! Our family enjoyed this home so much. 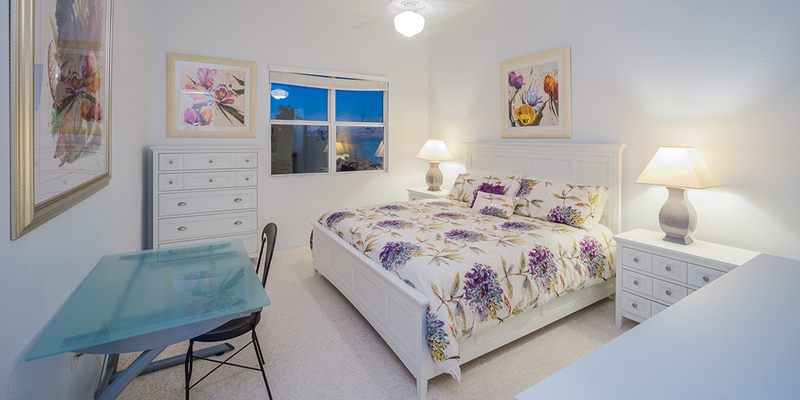 From the amazing view, comfortable bedrooms, amazing family area and well stocked kitchen. The kids favorite was the pool. The adults favorites were the amazing sunrise & sunset! We can’t wait to go back again. Wonderful place to celebrate my retirement with our family of 15! 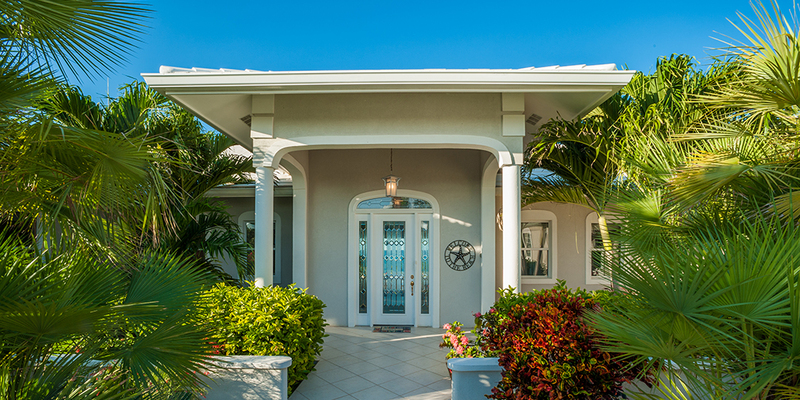 Crystal Blue is a beautiful home in the quiet East End on the Northern Coast of Grand Cayman. The grounds are well kept and the view is amazing! The location is great for enjoying Rum Point Beach, Star Fish Beach, Morritt\'s Resort Beach all within a short drive. The layout of the seven bedrooms was perfect for our family as the teenagers slept on one side and could sleep late and the \"littles\" awoke early and could play without disturbing them. Lots of seating in the dining area and also outside on the pool deck. We enjoyed three meals cooked by Chef Stephanie. The Cayman style fish, barbecued chicken, jerk chicken, rice and beans, mac and cheese, cornbread were all yummy. The kitchen is very functional but could use an update. Roland, the caretaker/manager was very attentive and had the bedroom air conditioner fixed in a timely manner. Scott Naurath was very helpful in answering our questions and giving us helpful information before our arrival. He scheduled a charter boat for us with Captain George to Stingray City. Captain George was awesome and this was a highlight of the week for many. The house was very clean. Having a laundry available was great. Also appreciated the extra beach towels and pool toys that were available to us. We traveled from California, New York and Pennsylvania and had a WONDERFUL vacation together. Thank you for sharing your home with our family. 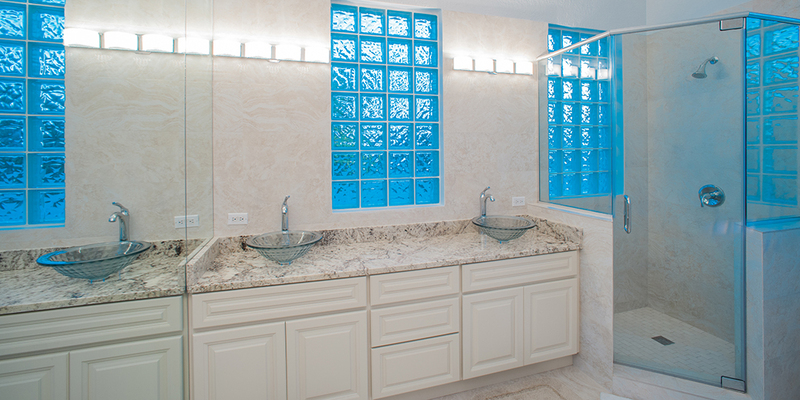 We will recommend Crystal Blue to our friends looking for a beautiful home to rent on Grand Cayman. We lounged, we snorkeled, we kissed stingrays, we drank, we ate, and we drank... We totally forgot about the real world! Crystal Blue itself was great! We had a little water pressure issue upstairs but the property manager came over and took care of that (Thank you!). Lots less humid here than Alabama, and we enjoyed the warm days and a couple rainy evenings. This trip was a celebration of our grandparent's 50th anniversary. We had a professional photographer come over and take some photos. They ended up looking great! We had Remy from rent-a-chef come cook a wonderful 4 course dinner. We could not have asked for a better trip!!! We went to Cayman to celebrate our 50th wedding anniversary. We took the entire family of children, grandchildren and significant others. Loved Crystal Blue!!! Perfect size for 13 people. Everyone felt like they had their own space and also space to be together. The views were outstanding. Snorkeling right out the door was so convenient. Youngest grandson (3 Year old) would not get out of the great pool. The only minor negativity was the sofa in the main room. The cover was literally falling apart. Left quite a mess. The crab parade was amazing!!! Our 23 year old proposed to his girlfriend right at the pagoda on the premises. Thanks so much for helping to build our memories together. Excellent stay. There were too many positives to list. Some easy fixes: my daughter had a scorpion in her bedroom closet, there was a slight leak in the ceiling to the left of the front door. My daughter in law was stung on the finger by a scorpion the last night we were there. In spite of these few discrepancies we thoroughly enjoyed our stay. Crystal Blue’s house is more than one could expect or ask for; warm and very welcoming right from the gate and throughout the property. The exterior of the property was well groomed and the view was picturesque; as we spent a lot of time relaxing and taking in the view. 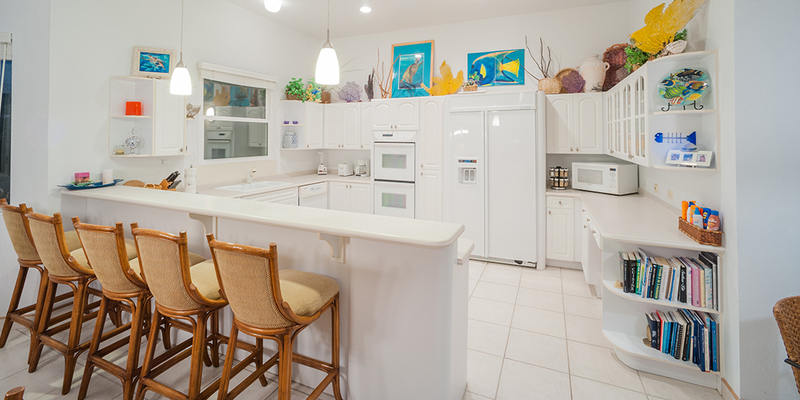 The interior of the property is beautiful and beautifully decorated; we definitely utilized the kitchen which was well laid out and met all of our needs. Undeniable... a wonderful, peaceful piece of heaven! Blue sky, warm sun, cooling breezes and a picture perfect ocean view, I would come back in a heartbeat and recommend Crystal Blue to others as a prime vacation location for large to medium size groups. My only suggestion would be to include a tour package/transportation for those of us who like to be chauffeured around while exploring the Island. We were very fortunate to meet a wonderful tour company driver name Leonardo Henry; he was very knowledgeable of the Island and it's history. Leonardo introduced us to several local restaurants Vivian Kitchen, Over the Edge, Heritage Kitchen and Grand Old House Cayman, the food was fantastic service was great. We also went to the Local fish Market and he assisted us with selecting a local for the Island that was the fresh catch of the day; what a way to show absolute hospitality to fourteen ladies on the Island. 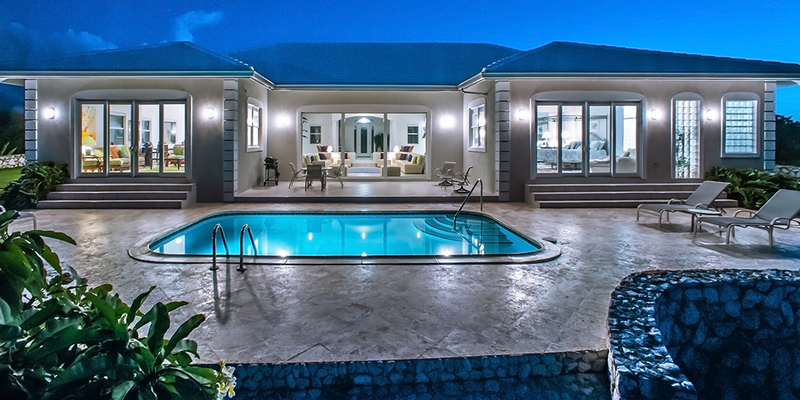 The staff at Grand Cayman Villas was informative and very helpful. We will rent through them again. This home and its location were absolutely perfect for our family. Our family of eight, which included two children, really appreciated the layout of this absolutely stunning home on the ocean, which provided privacy, and luxury, for all of us. 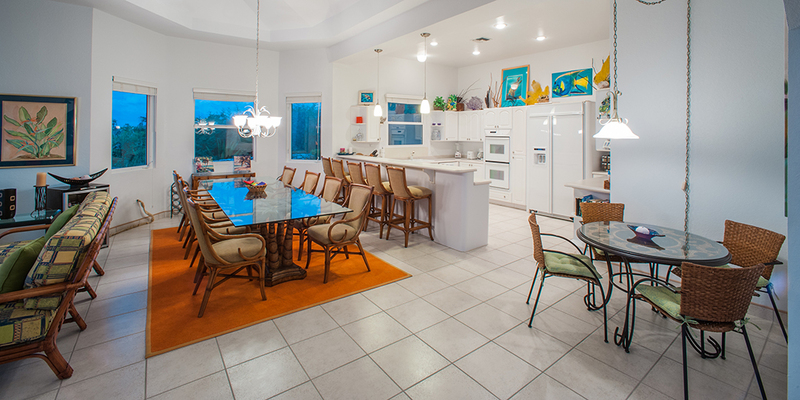 The open concept kitchen, dining area, and family room with a walk out to the large patio and pool area, was where we congregated the most, cooking meals, talking, and reading. When we weren't outside that is! The massive living room could be used for a large party! The floor to ceiling windows looked out on the ocean view. Truly magnificent! The stone patio and pool got a great deal of use too. We always started the day out there drinking coffee, enjoying the morning breeze off the ocean, and even doing our own workouts! There was lots of space for everything. Both kids and adults enjoyed the pool, and being able to walk down the stone and coral steps to the ocean. We snorkelled off the steps almost daily. One day, some of our snorkelers even spotted a stingray! We ended our day outside too, often turning off the lights to enjoy the beauty of the stars. From the house, we snorkelled at Morritts and the Reef, ate at Tukka and Bombay Chopsticks restaurants, drove down to Rum point where we took a private boat to Stingray City, courtesy of White Sand Sports, and did the Bioluminescent Kayak tour through Cayman Kayaks. Our divers did two dives with Ocean Frontiers, traveling through underground caves, and exploring the reefs. It was a very pro outfit. My husband and I enjoyed a walk through the Botanic gardens. All of this was within 5-10 minutes of the house. We did venture to Seven Mile Beach once, for brunch at the Ritz, which was pretty amazing! The beach was lovely, but we all agreed that the cool breezes at our house on the north side were better. This is definitely a house to consider if you have a large group. 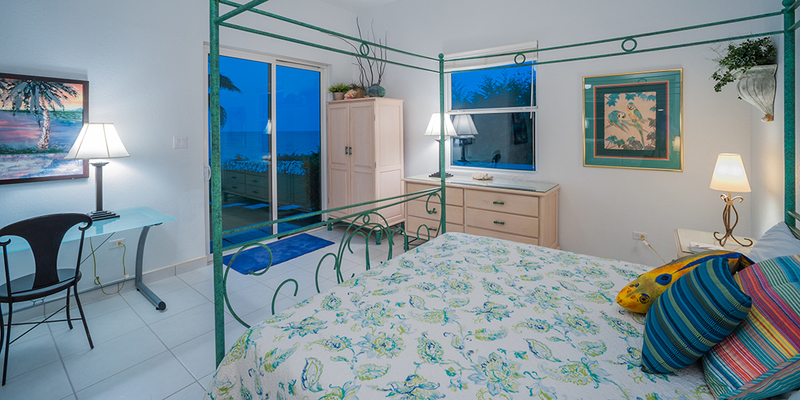 We had an absolutely amazing stay at Crystal Blue on the North Shore/East End of Grand Cayman. We went with two families of 4 and are already thinking about when we can return with extended family. 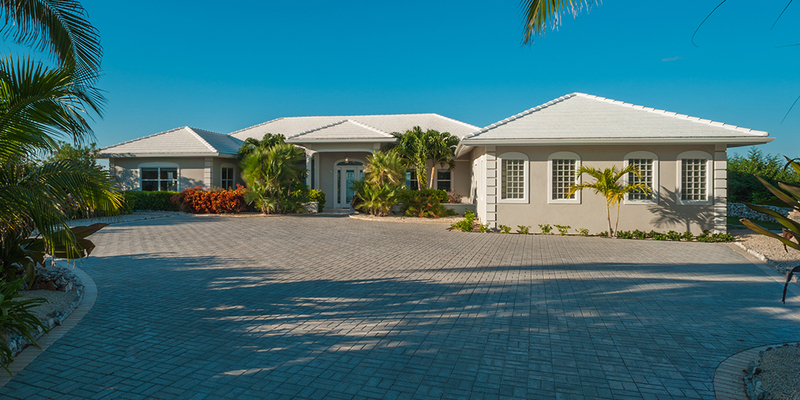 We are experienced travelers having visited many of the Caribbean islands (Barbados, Turks, Jamaica, Bermuda, Bonaire) and this house was our favorite and Cayman was one of our favorite islands (tied with Bonaire for me). 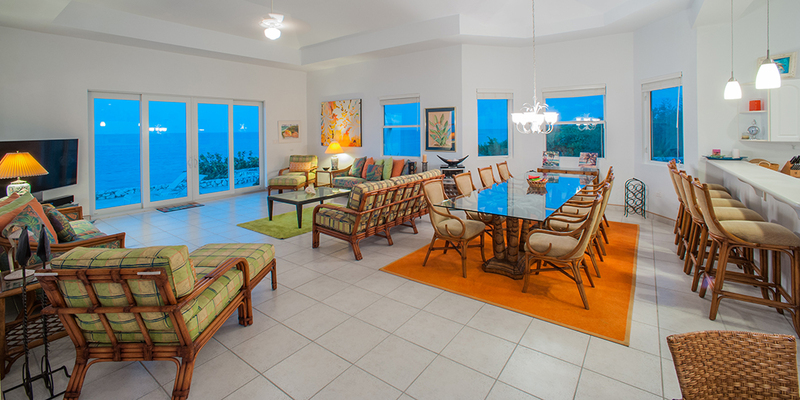 We chose the house intentionally to be away from the hustle and bustle of Seven Mile Beach and the location was perfect. The house had great views, perfectly located pool, and plenty of room to hang out together or disappear for some quite reading. The rooms were well appointed and the kitchen had all the necessary equipment for the days we choose to cook. Good snorkeling 100 yards out off the back steps where you can swim through and around coral heads and fans with lots of fish and even a turtle or ray every so often. Easy driving access to Rum Point (excursions to stingray city with the red sail catamaran and bioluminescent kayak tours) and Morritts to swim under the pier with all the large tarpon and scuba and snorkeling trips with Ocean Frontiers. Best fish taco on the island was at Tukka, who knew lionfish was so good to eat! No wind in august so I was unable to kite board this time but the Sweet Spot looked like a great place to get out and rip (next time). We also did a number of excursions (dolphins and horseback riding) over on the west side and the drive was not bad (30min to 7 mile beach for snorkeling and 45min all the way up to the West End). 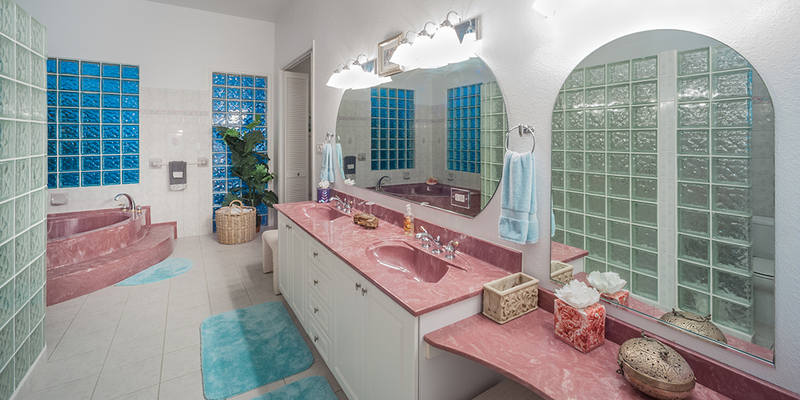 If you are looking for a great house with great space, amazing views and good snorkeling and relatively easy access to great excursions, look no farther! We cannot wait to go back.